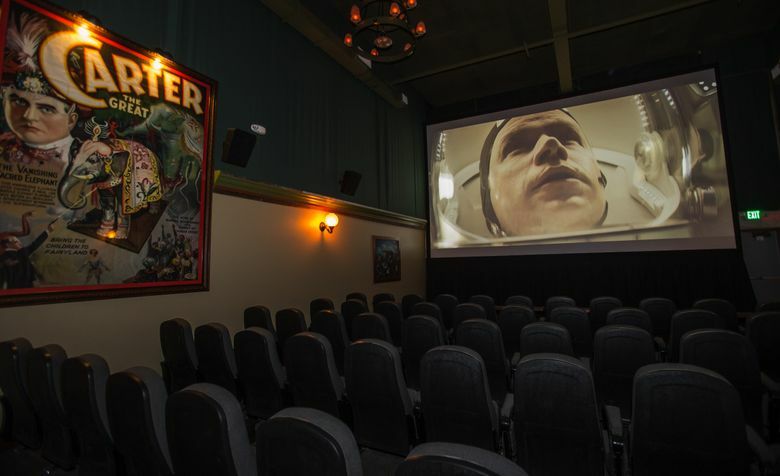 McMenamins Anderson School in Bothell opens Thursday and a new City Hall will also open later this month, developments considered keys to remaking downtown. 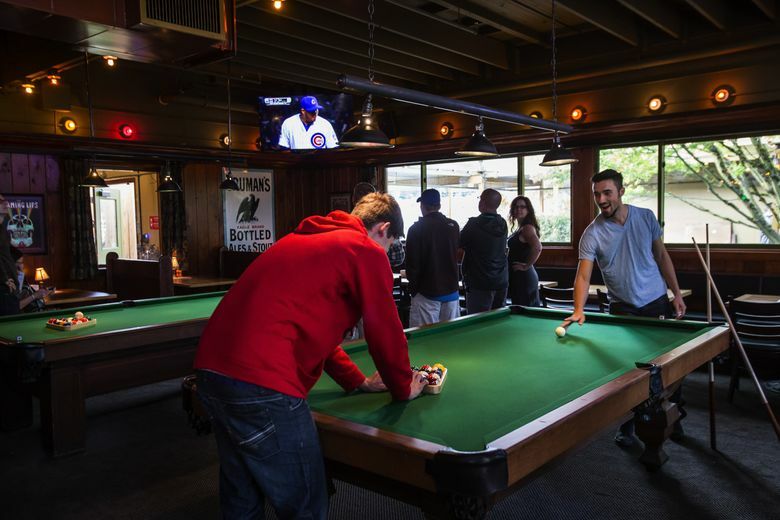 The November election could bring a new City Council majority more skeptical of development. 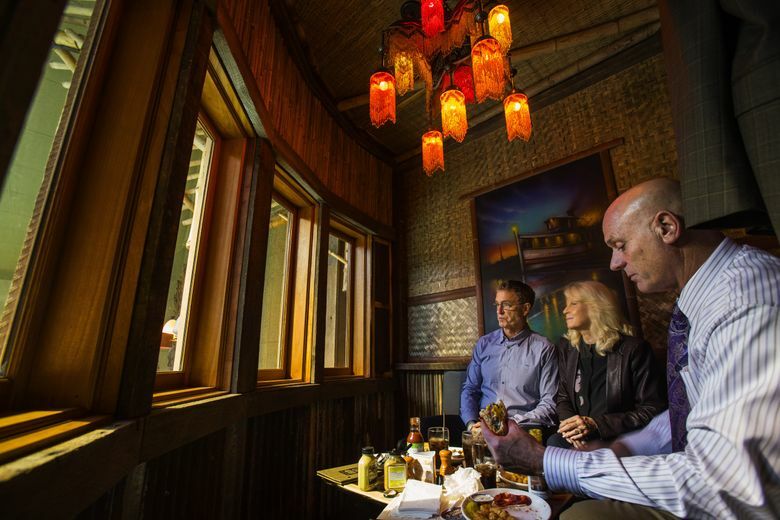 Longtime Bothell residents, city leaders, construction workers and investors packed a preview party Tuesday night for the new McMenamins hotel, restaurant, brewery and entertainment complex in the historic Anderson School. 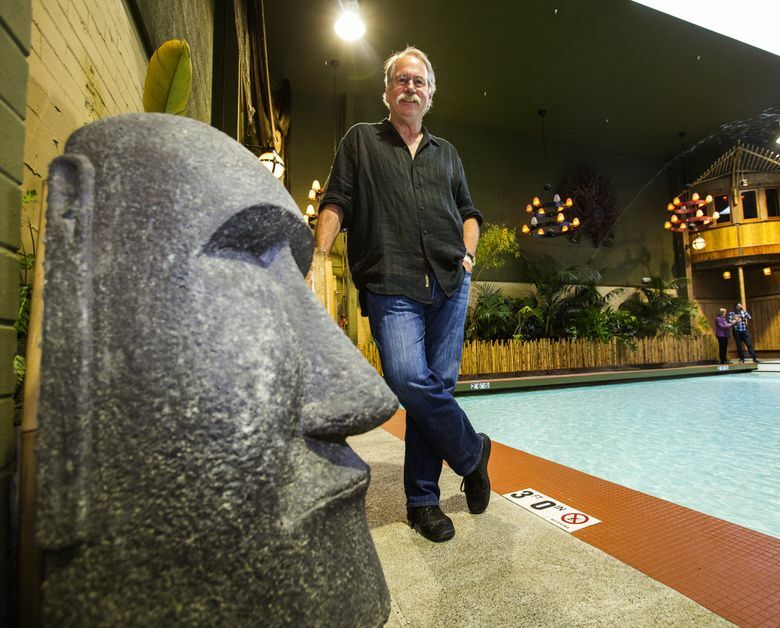 In a cozy room off the South Seas-themed bar and restored civic swimming pool, three local investors in the $26 million project marveled at the transformation under way in downtown Bothell. “What I’m looking forward to is not having to leave home. You can live here and play here. 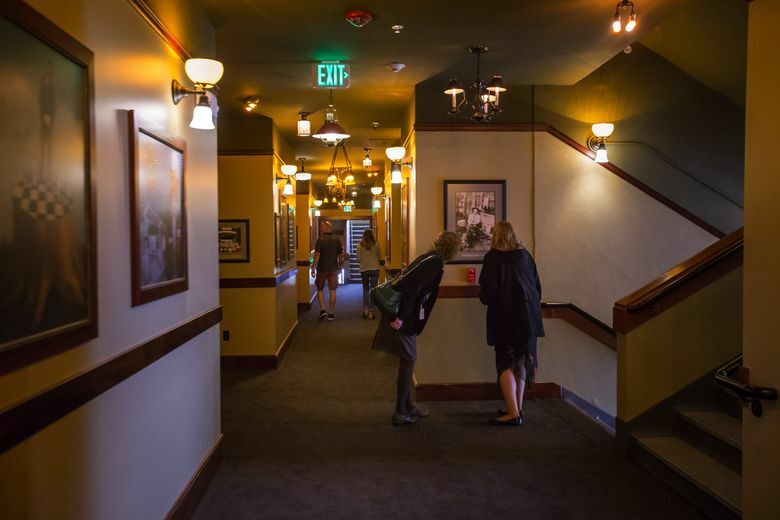 Doesn’t it feel like we’re coming into our own?” asked Gary Collins, who, with his wife, Rosa, were among two dozen small investors who helped McMenamins finance the makeover of the 1931 school building and surrounding property. 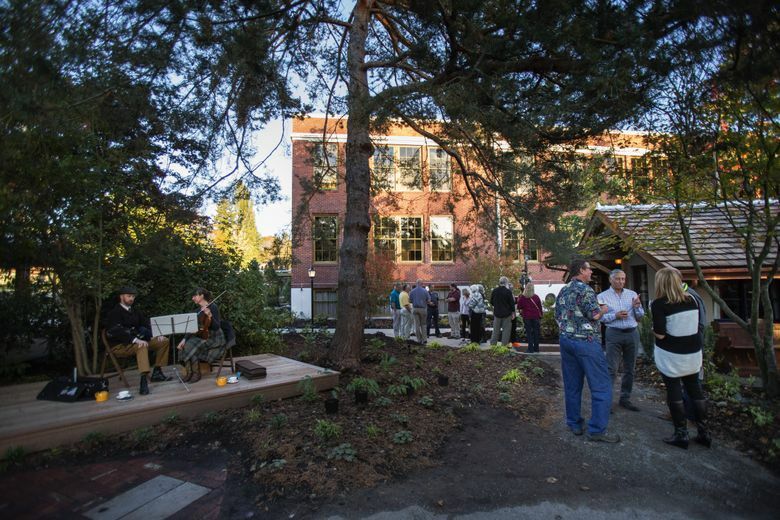 Just a block away, a new, $47 million city hall will open Oct. 26. Several new apartment buildings have gone up in the downtown core, and plans for two new hotels, a specialty grocer and 86 town houses are in the pipeline. The ambitious plans to redevelop the one-time farm town into an urban hub of residents, workers, retail and office space are the results of a decade of planning and the city’s investment of $150 million in public money to buy up 25 acres of land, up-zone for more density, move a state highway, build new roads and sidewalks, and partner with developers on a mix of public and private projects. 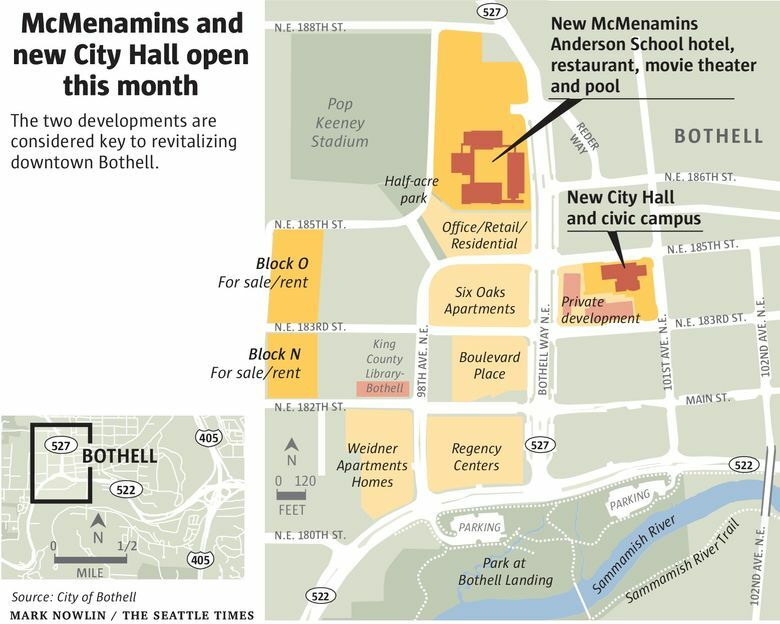 “I’m very proud of the success we’ve achieved,” said Bothell City Manager Bob Stowe, who was hired in 2006 to help redevelop the downtown after shepherding a similarly ambitious plan to create the Mill Creek Town Center. John Caulfield, city manager in Lakewood, who has consulted with Stowe over the years, said that when the International City/County Management Association convention met in Seattle in September, a number of delegates toured downtown Bothell to learn about its successful economic-development plan. “For a city its size (42,000) with very little resources, what Bob has been able to accomplish is amazing,” Caulfield said. 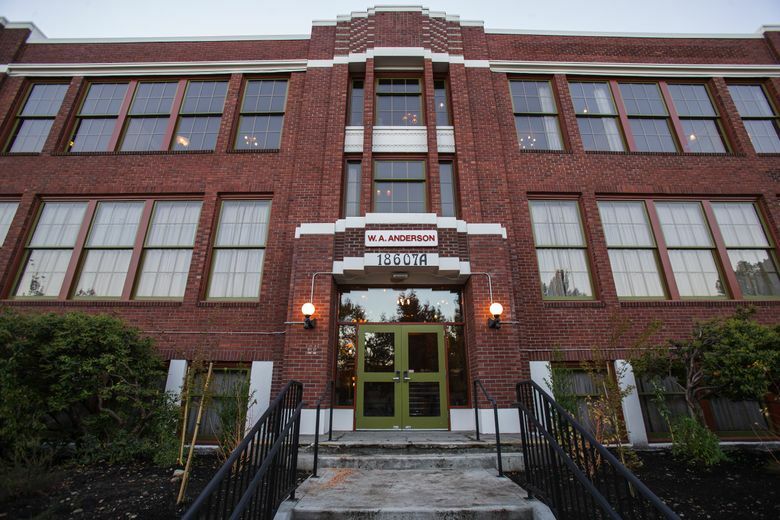 Stowe said recruiting McMenamins and preserving the Anderson School were key to the community’s vision for the remade downtown. But the work, he acknowledged, is only partially realized. 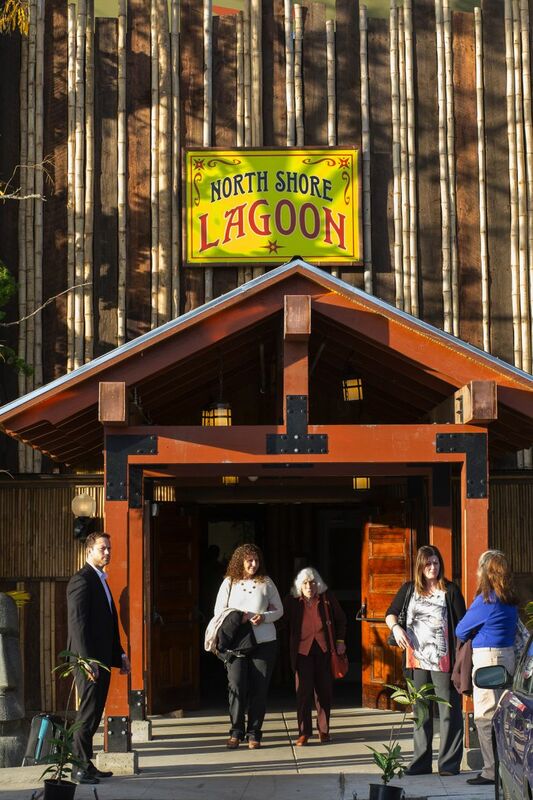 Several other prominent lots sit vacant, awaiting costly environmental cleanup. 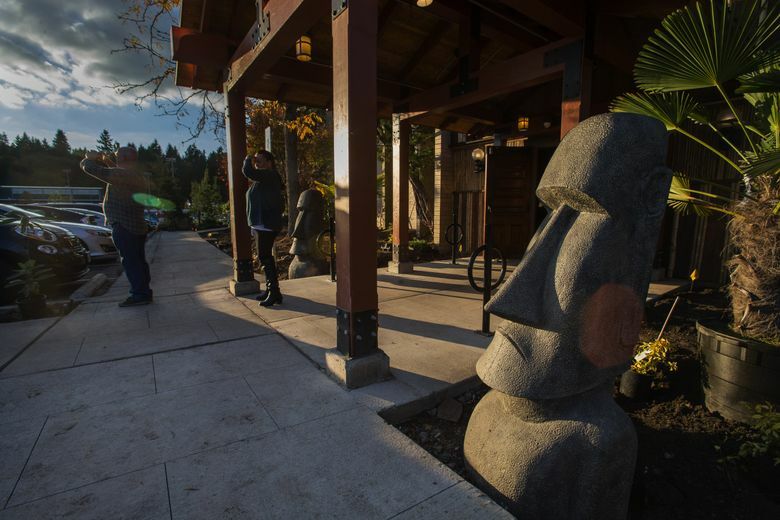 A city bond measure that would have funded completion of the boulevard that runs from Highway 522 past McMenamins was rejected by voters last November after criticism that it was too heavily weighted to roads and not, as billed, for parks. And while Stowe is widely credited with the strong and steady leadership necessary to guide a long-term redevelopment project, he’s also alienated some on the City Council. It was his staff that recommended the city not purchase the back nine of the Wayne Golf Course when it came up for sale in December 2013 — without any notice to the public that had long hoped to preserve it for recreation and open space. 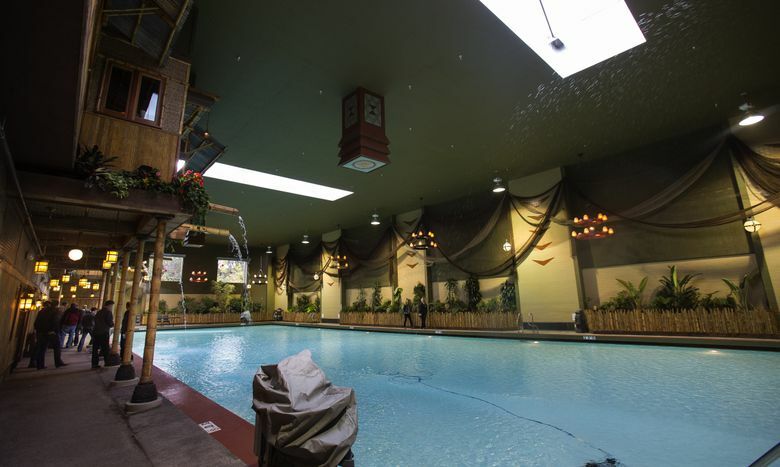 And it was his proposal to use a little-known financing plan for the new City Hall that involved a lease and development agreement with a private developer, Vulcan, and a per-square-foot cost of almost $1,000 for the four-story office building and three-story underground parking garage. That plan wasn’t sent to voters but was approved 5-2 by the City Council. “He’s been pretty divisive,” said Andy Rheaume, a City Council member who is running for re-election, along with candidates for two other open council seats who have criticized the city as lacking transparency in the Wayne Golf Course sale and for allowing developers too strong a hand in guiding the city’s priorities. During Stowe’s tenure, the council has been led by Mayor Josh Freed, a developer, who is not up for re-election this year, and his attorney, Mark Lamb, who is stepping down after 12 years on the council. Lamb, Freed and one other council member make up the council’s Economic Development Committee that has helped steer the downtown redevelopment project. Freed bought the golf course back nine to build 50 houses when the city didn’t act on its purchase option. After a public outcry in spring, Freed pledged to sell the 38 acres to the conservation group Forterra, but five months later has not yet reached an agreement. With three council seats up for election this November and Stowe closely identified with Freed and Lamb, a new council majority could reconsider the city manager’s contract, Rheume said. 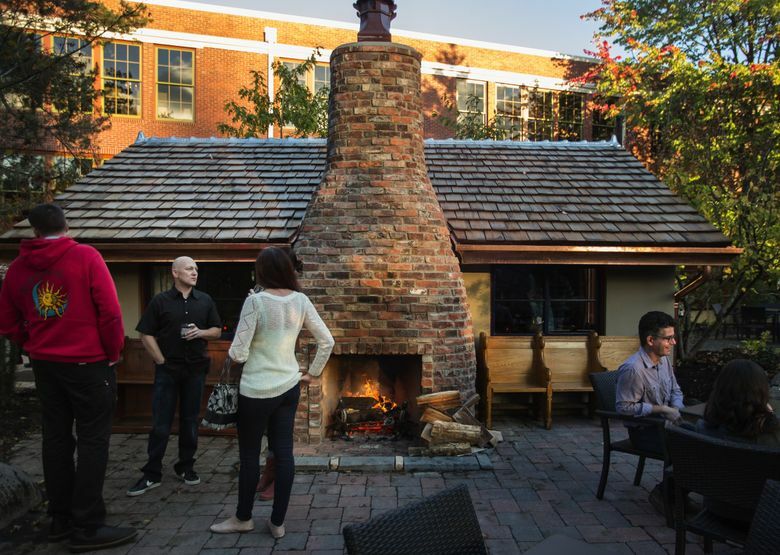 If there’s some ambivalence in Bothell about the new City Hall, there was none at the preview party for McMenamins, which opens to the public Thursday. Brian McMenamin, co-founder of the company with his brother Mike, praised the city for recruiting the company and selling them on the community’s desire to save the school building. 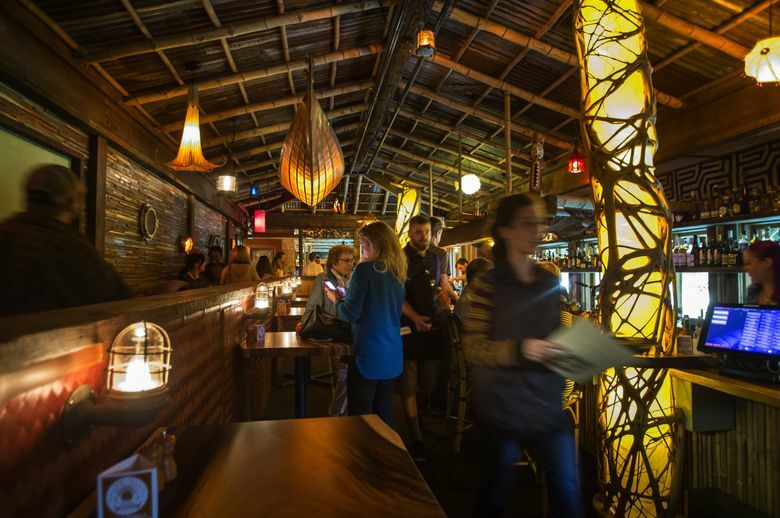 “They’ve been awesome to work with. We knew we were going to get support,” he said. 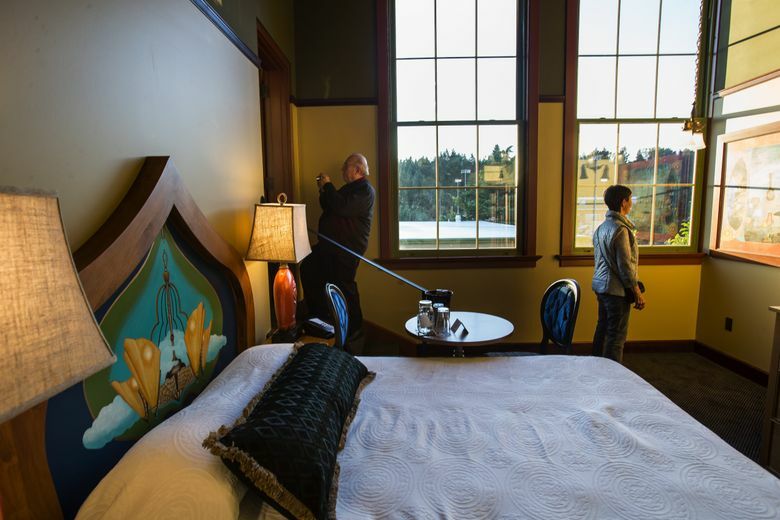 The renovated hotel features rooms named after prominent citizens, from Chris Walla, Bothell native and co-founder of Death Cab for Cutie, to James Egawa, a former art teacher who dedicated his life to reforming Indian education. 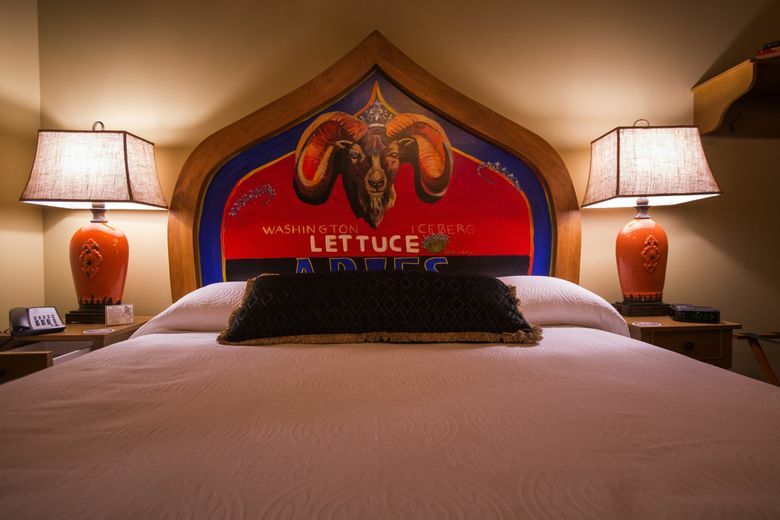 McMenamins’ staff of designers and artists collected memorabilia from alumni and residents and incorporated it into artwork and other displays along the hotel walls. A framed dress code from the 1964 junior-high school advises boys that their shirts must be tucked in and their shoes polished. Girls are warned against “ratted hair” and V-neck sweaters. Judy Asbury Edmonds searched the third-floor hallway for the room named for her father, Charles Asbury, a former music director at the school. 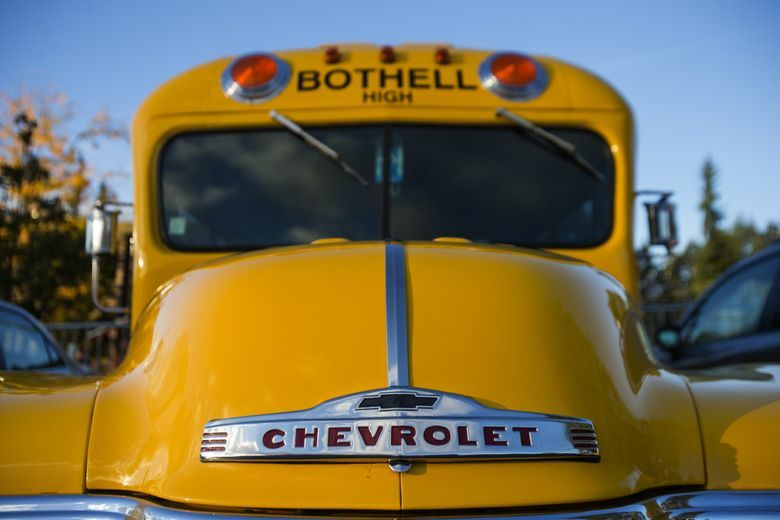 State Sen. Rosemary McAuliffe, D-Bothell, said she was excited to see the complex open and the downtown plans for Bothell advance.